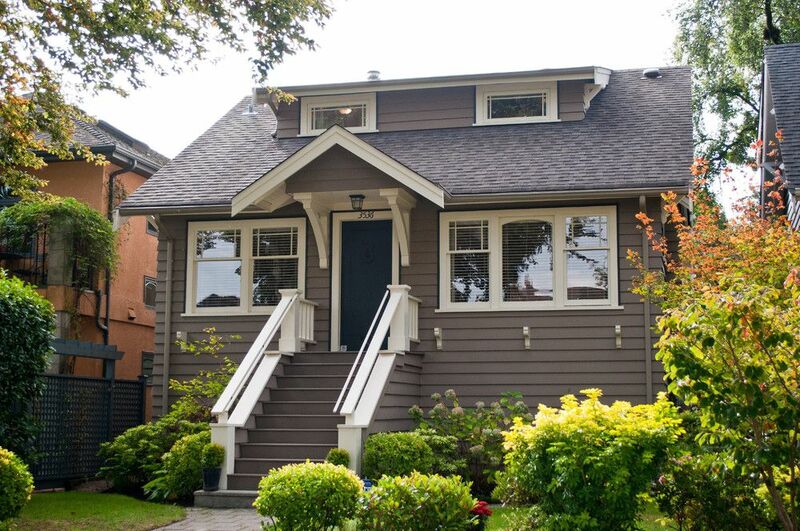 FABULOUS CHARACTER RENOVATION located on the prettiest tree-lined street in Kits.Steps from Almond Park w/quiet southern exposure & a wonderful blend of original features & modern updating.Traditional style w/OAK H/W flrs,leaded glassdoors,B/I's,coved ceilings & "old growth" Fir flrs through dining rm & kit areas.Substantial renos incl a newer kit w/Maple cabinetry,SS appls & granite counters.Furnace,drain tiles,roof,windows,plumbing & electrical have all been updated. Generous principal rms w/den or bdrm & full bath on main. 3 bdrms,bathrm,laundry & skylights upstairs.W/I closet in Mbdrm. 2nd laundry+self-contained accommodation on lower level.Lge sundeck overlooks sunny backyard w/a workshop(dry walled & insulated).